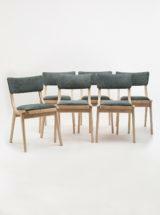 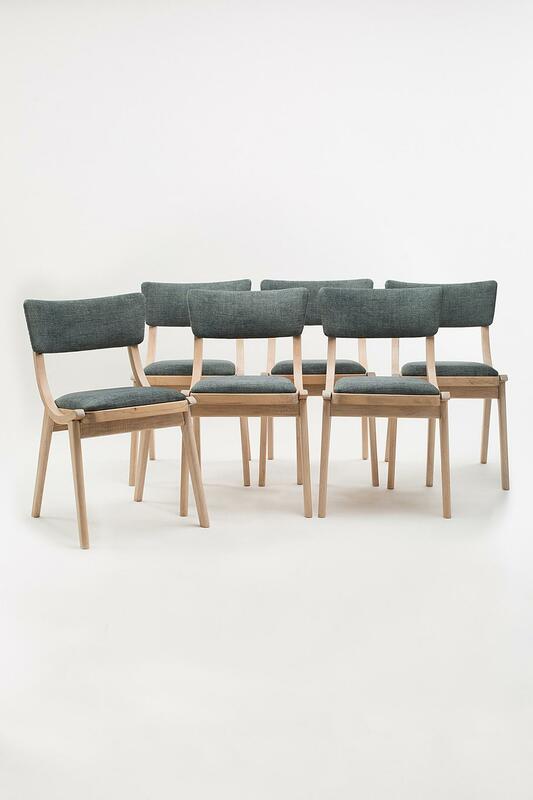 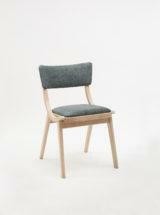 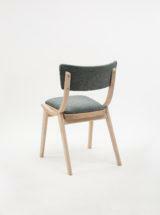 The set consists of six chairs which underwent careful carpentry and upholstery restoration. 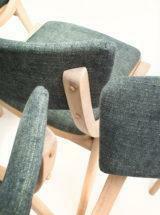 Wooden frames have been cleaned of the old coating and re-protected with several layers of matte acrylic varnish. 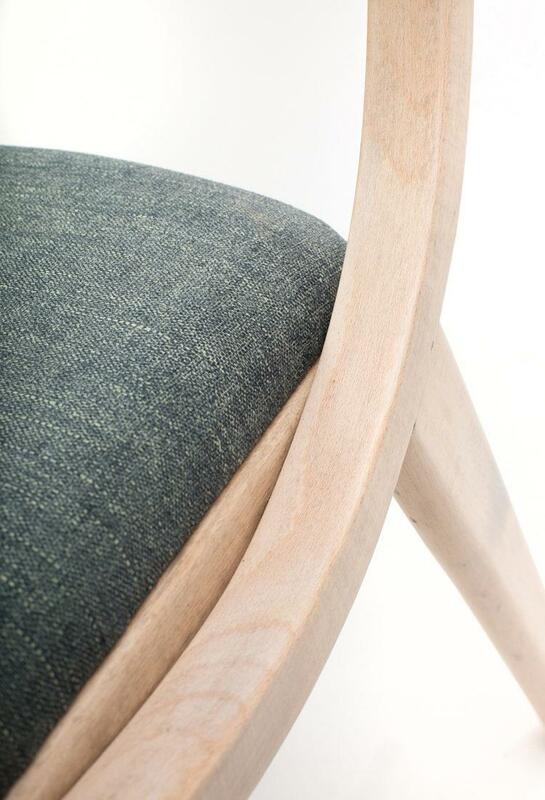 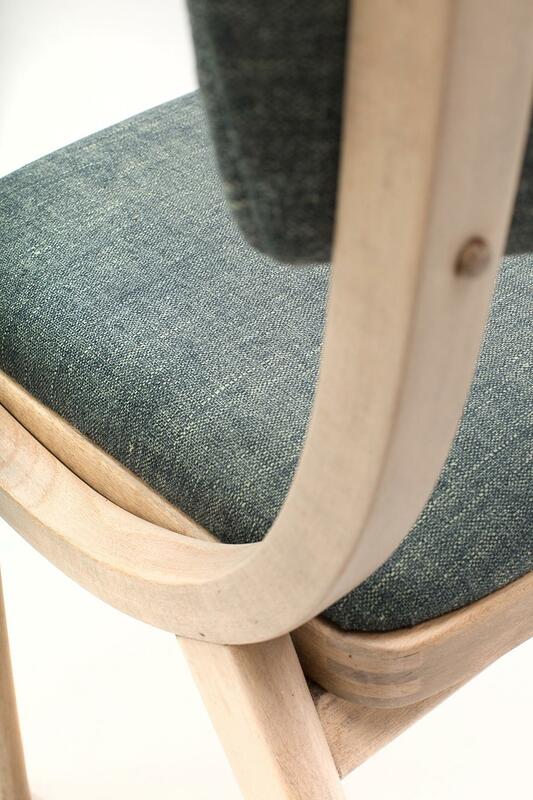 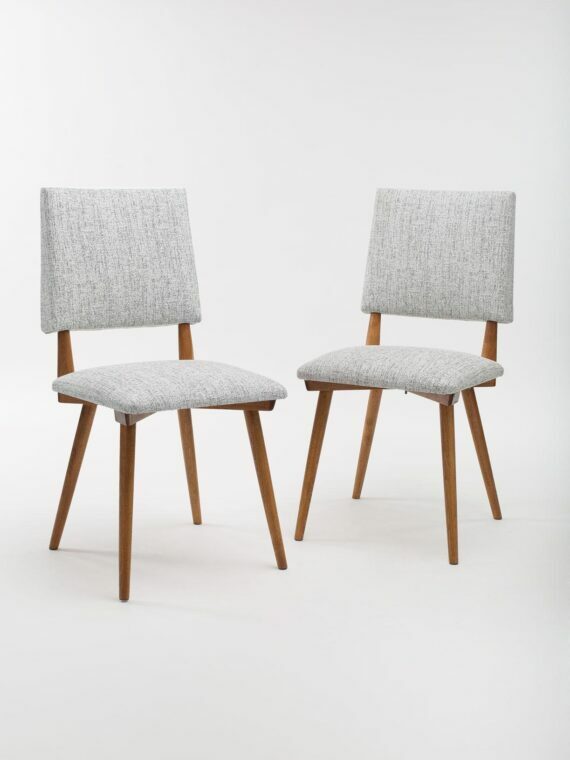 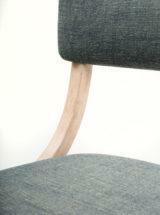 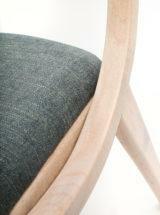 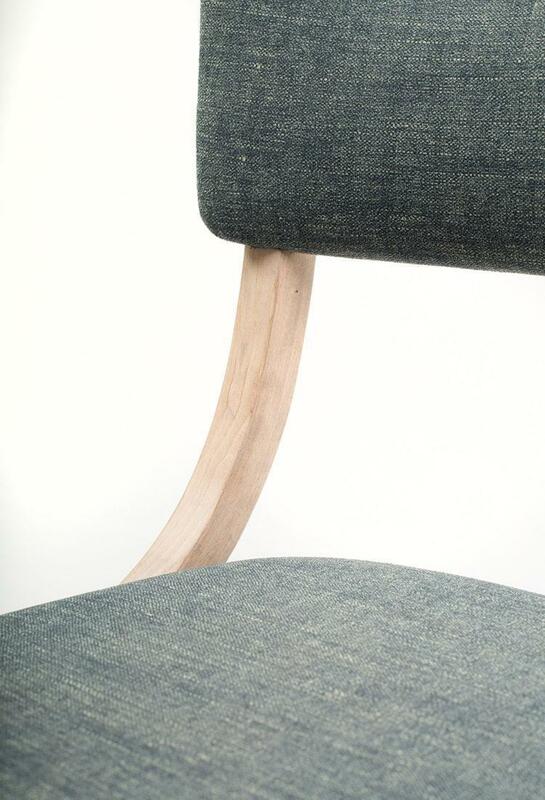 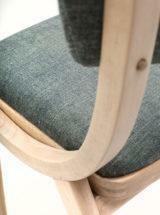 This treatment emphasizes the natural, bright color of beech wood from which the chairs were made. The sponges on the seats have been replaced and covered with a modern, high-quality velour fabric. The upholstery fabric color has been carefully selected to match the color of the woodwork.